“Many folks were just minding their own business on Saturday, trying to watch some college football,” begins Beiler “when this ad interrupted their lives. And not in a bad way at all.” The ad was a new Perfect Bacon Bowl commercial (see below) and the ears of many viewers perked up at the sound. “It sounds for all the world like mid-70s Queen, complete with Freddie Mercury. I mean, that is uncanny,” Beiler declares. The creator of the jingle, Rick Altizer, actually asked a frontman for a Queen cover band, Queen Extravaganza, to sing the Perfect Bacon Bowl jingle. It’s an “homage to an iconic band” Beiler says. The ad caused a lot of social media buzz. 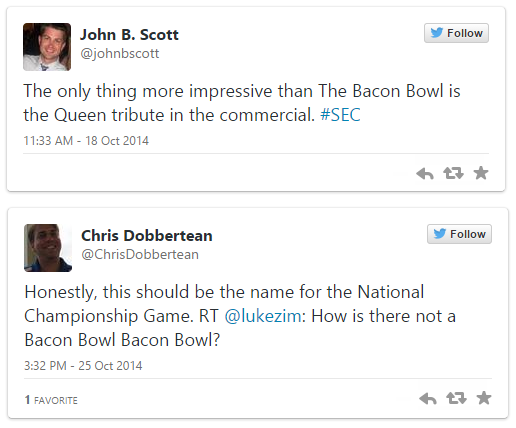 Many people declared their appreciation of the commercial, and the Perfect Bacon Bowl! This entry was posted in Scott Boilen in the News and tagged Allstar Products Group, Bacon Bowl, Scott Boilen, Washington Post on December 22, 2014 by ScottBoilen. In a recent Market Watch article, Charles Passy discusses bacon sales, the “bacon boom” and Allstar’s popular Bacon Bowl. Allstar CEO, Scott Boilen, says he reflected on the boom of sales occurring with bacon and consider the crowded bacon marketplace before introducing the Bacon Bowl – a simple device that runs strips of bacon into an edible shell. 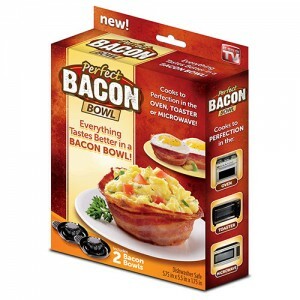 Scott Boilen decided he couldn’t resist the invention and in late 2013 Allstar Products Group launched a series of Bacon Bowl infomercials. “In a brief period, Scott Boilen’s New York-based company has sold more than two million units of the $10.99 bacon cooker, making the Bowl a success story potentially on par with the Snuggie, to name Boilen’s biggest “As Seen on TV” hit. This entry was posted in Scott Boilen in the News and tagged Allstar Products Group, bacon boom, Bacon Bowl, bacon sales, CEO, MarketWatch, Scott Boilen on August 11, 2014 by ScottBoilen.